If a spouse, family member or close friend is diagnosed with hearing loss in San Rafael, they will doubtless experience some dramatic changes to their way of life. There are steps you can take in order to help those you care about adjust to their hearing impairment; the most important is learning how to communicate with them in order to make it easier on both of you.The following communication tips will help ensure your conversations with the hearing-impaired are as productive as possible. Maintain eye contact with the hearing-impaired individual. Face them directly and do not try to talk to them from another room or when facing another direction. People with hearing loss rely on visual cues to help them better understand and follow conversations. Before beginning a conversation, make sure you have the other person’s attention. Make it a habit to state their name so they know you are addressing them; this will help them focus on what you are saying. Speak slowly and concisely. Some people can’t resist shouting, thinking that will make them easier to understand, but instead it causes distorted speech and makes your words harder to understand. Try pausing between sentences to make sure your conversation partner understands what you are saying. Make sure your face is visible at all times. Don’t cover it up with your hands or other objects; people with hearing loss often find lip reading helpful, as it can serve to fill in “blank spots” in the conversation. Don’t eat and drink while talking. Even if you’re meeting over lunch or out on a dinner date, wait until you have finished chewing before speaking, or agree to put the conversation on pause until you are finished with your meal. Hold your conversation in a quiet area free. Background noise is distracting and can cause your companion to miss out on crucial parts of the conversation. Repeat yourself as often as necessary. If the person with whom you are speaking is struggling to understand what you’re saying, try substituting a different word or rephrasing your sentence. Avoid using complex words and phrases. Write down any important information. To ensure your hearing-impaired companion doesn’t miss out on anything especially important, it’s a good idea to write it down for them to review later. You might try jotting down the topic of conversation and sharing it with them in advance, as well. Pay attention to your listener. Your hearing-impaired companion might be too shy or embarrassed to admit they haven’t understood something you have said. Watch for signs of confusion and offer to clarify or repeat what you have said if you believe they did not understand you. Do not monopolize the entire conversation. 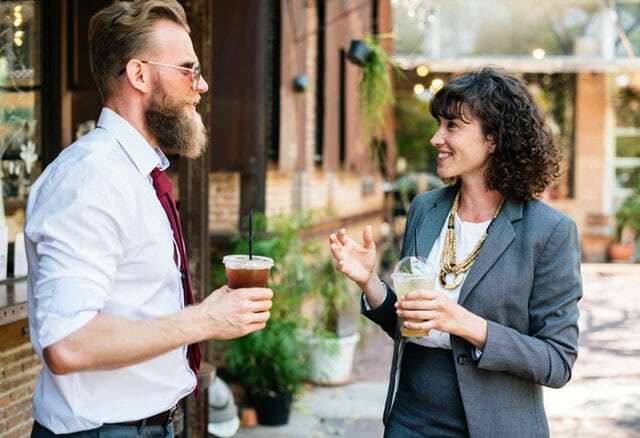 Communication is a two-way street, and it’s important to give the other person an opportunity to speak without interrupting. These tips are pretty straightforward and easy to implement. Try them out the next time you have a conversation with somebody who has difficulty hearing and you both are sure to notice a difference! For more communication tips, speak to your San Rafael hearing professional.